1) An unexpected out of memory error. 2) An inability to connect or a loss of connectivity to one of the BizTalk databases. The service will shutdown and auto-restart in 1 minute. If the problematic database remains unavailable, this cycle will repeat. How do we use Business Data Catalog? Then go to Sharepoint Central Administration, in the left menu, click on SharedServices1, then click on the Import application definition. 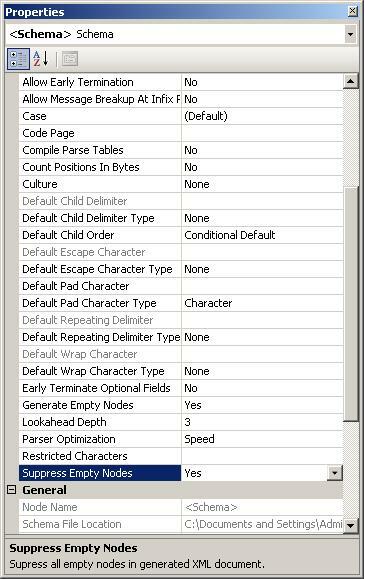 Choose your file location, then for the moment leave the other options as they are. Some weeks ago I was faced with a problem, as entry, I had a flatfile schema with positional fields. Before processing this file I needed to validate that every field is ok. I had a problem with dates, since if I received let's say 10 space characters (representing and empty date) then the schema was not valid. So how the hell could we have resolved the problem? 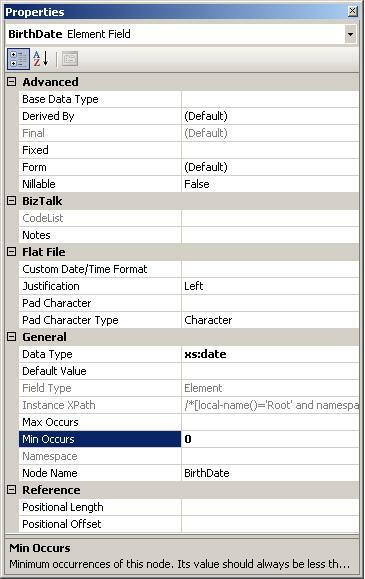 How could we say to BizTalk that for space characters on the Date it is ok, and it should go forward? Here we needed BizTalk Server to stop processing any wrong file, we did not want BizTalk to continue any further. Every solution must be on the schema, solutions in other parts of BizTalk (mapping, custom pipeline, orchestration, ...etc.) was not a state of the art solution.